Everyone remembers what a disaster Aliens: Colonial Marines was when it came out in 2013. 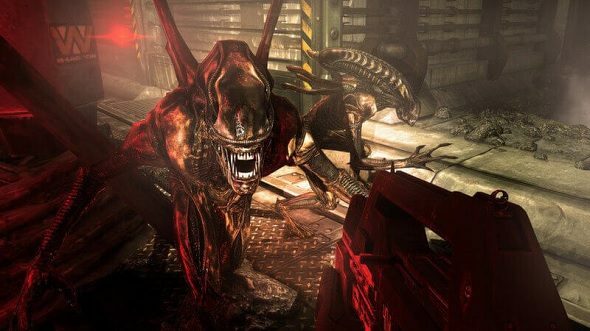 It was slated by critics and players for having terrible AI – the xenomorphs in it are dumb and oddly ignorant of you – so much so that it’s become known as one of the worst videogames ever. But, last year, one modder who had took up the task of trying to fix the game came across the reason why the AI in Aliens: Colonial Marines is so awful: a single typo in the game’s code. The word ‘Tether’ was misspelled as ‘Teather’ and that pretty much destroyed the intelligence of the game’s predators. Shocking. Want a good Aliens game to play? Check out the best horror games on PC. News of this typo got around a few days ago and the game’s developer, Gearbox, has since responded with a new job position posted on its careers page, as VG247 discovered. With tongue firmly in cheek, Gearbox is now hiring for a programming copy editor. Yes, it’s a joke. The joke is carried on within the job application itself as applicants are asked to “respond with the correct spelling: tether or teather.” They’re also asked to give their first name, last name, email address, and telephone number. Given that there are no other hoops to jump through to apply for the job – you don’t need a CV, a covering letter, or to prove you can edit or code – this is clearly a joke. But perhaps Gearbox has plans to take the joke further with the applicants they receive. Only time will tell.